painting silk, using specialized tools and indeed inspiration. ​The Silk Flower Artist ! In this video tutorial I will teach you how to make this gorgeous, unique flower at your own pace. Video Tutorial "Patricia" is designed for both newcomers to Silk Flower Art and for more experienced silk flower artists. Video tutorial contains detailed instructions of every step required, supplemented with photos of each part of all the processes needed, in addition you will receive a detailed PDF file with written instructions and patterns of the rose. You will learn how to cut out, dye, shape and how to assemble every part of the flower. Aso I will show you how to attach this beautiful accessory to a headband. Video tutorial "SILK ROSE PATRICIA" available for PC and MAC users​. You will receive a High speed USB flash drive or a downloable link with full version HD video and accompanying PDF ​​with instructions and the flower pattern. Get your copy of the video tutorial "SILK ROSE PATRICIA"
and accompanying PDF ​​with instructions and the flower pattern. 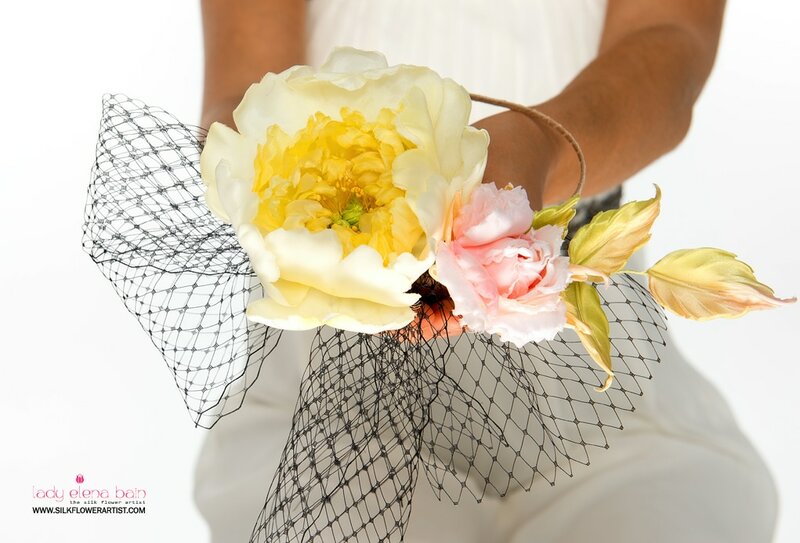 ​Get your copy of the video tutorial "SILK ROSE PATRICIA"
and start creating within ​minutes! Make your first silk rose TODAY ! Copyright © 2012- 2017 Lady Elena Bain ~ The Silk Flower Artist. All rights reserved. This video tutorial is for personal use only. The reproduction, distribution, or copying of any part of this document in whole, or in part, or in any form, and without written permission, is strictly prohibited and will be prosecuted.